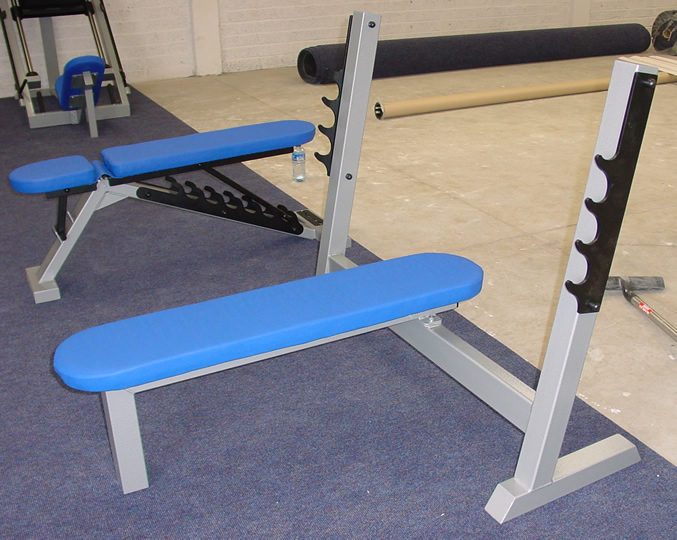 GymRatZ Commercial Commercial Gym Equipment is designed for professional use in health clubs, fitness centres, and the very toughest of gyms. The equipments ability to withstand constant daily use is second to none - we wouldn't put our name to anything else! Heavy, heavy duty Olympic Flat Bench. The upholstery's thick and durable and framework's constructed from heavy gauge steel. Dimensions (mm): 1220 L; 1200 W; 1200 H.
Frame Colour Yellow SilverWhiteOther - see note.